Their tag line reads: Phoenix metalcore band comes together to release an album about falling apart. I’d re-write it to say: Phoenix metalcore band comes together to release an emotionally aggressive punk album about the tragedies of life. 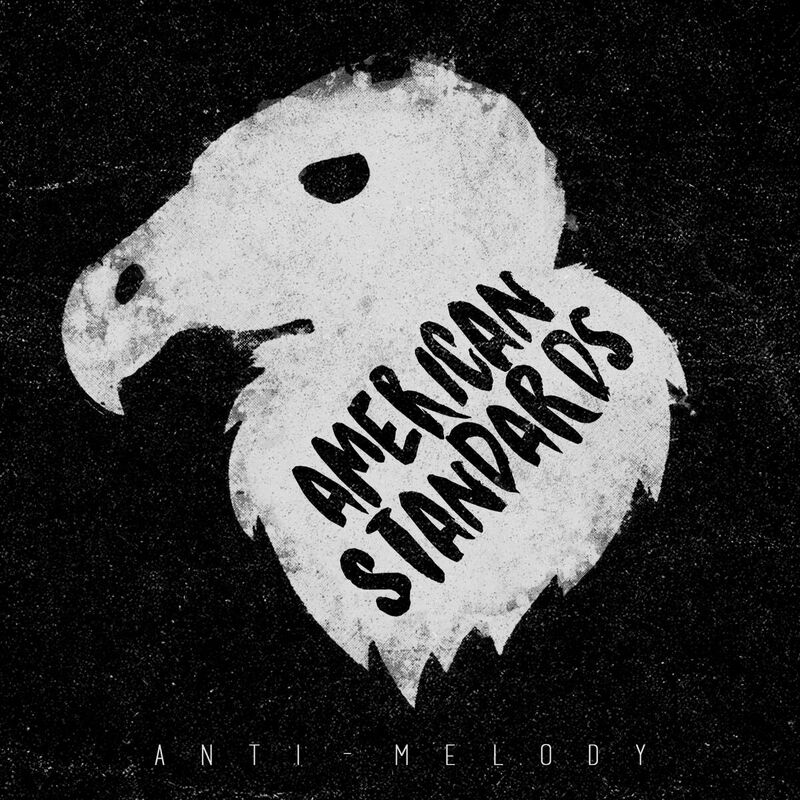 They’ve been around since 2011, and have made a very emotionally charged album in “Anti-Melody.” Anti-Melody sounds like a great name for a punk band…and I found this metalcore band to be very punk on this release. The music and lyrics are extremely aggressive, chaotic, full of havoc, and turmoil, and I wondered what they were trying to say both musically and vocally. As I investigated, I found that a founding member had committed suicide, and a member’s father had succumbed to cancer. They revealed that this album and its iterations were how they coped and began to heal with the tragedy. While some bands could fold under such darkness, this band banded together and made a very raw album. Self-mixed, produced, and released, American Standards take on many current issues; issues that we all face in the current state of the world, and issues that many of us face (or will face) in life. The sound is cohesive from track to track. The titles are not necessarily indicative of the point of the songs, however. This band definitely has a strong vision for their music, and as they have said themselves, “it might not be for everyone.” But…it just might be for you. I’m personally glad I heard it and know they exist. This is what I read to understand the audible distress in their music that made it all make sense to me. Here are my initial thoughts, track by track. Upon second listen, I stand by them. Carpe Diem, Tomorrow: This song is absolute chaos. Punk infused metalcore. Church Burner: This song starts out like a Ghost song, but quickly turns into what you’d expect to come after Carpe Diem, Tomorrow. Blood curdling screams. It’s the repetitiveness in this song that makes it so full of pandemonium. Bartenders without Wings: I felt the anguish in this song. It is very heartfelt, portions are “talk” not singing. Very Buried In Verona-ish (Four Years or Miles Away) when they are full of anguish. There is a very pretty slower section. sure like to hear Danger Music #1-#8 though. Cancer Eater: Best track on this release. This is a great song. Broker Culture: This is the weirdest track on the release, but my second favorite. ​Chicago Overcoat: A heartfelt song to a very emotionally charged album.